This year was the eleventh Southampton Beer Festival. 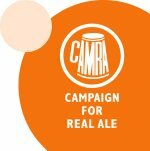 The beer festival was organised and run by unpaid volunteers who are members of the Southern Hampshire Branch of the Wessex Region of CAMRA (The Campaign for Real Ale). Over the 3 days over 12000 pints of beer and 1000 pints of cider were drank by over 3000 customers. The Thursday evening and Friday lunchtime sessions had record attendances and the remaining three sessions sold out in advance. Over £600 was raised for this year's charity, the Rose Road Association. The "Hampshire Beer of the Year 2007" competition was judged and announced on the Thursday night of the festival. 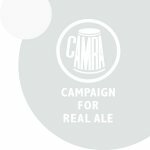 The competition features Hampshire brewed beers nominated by the Hampshire CAMRA branches and is judged by an experienced beer tasting panel. For the first time in the competition's history, joint winners were announced with Swift One from Bowman Ales joining the current champion Hole Hearted from Oakleaf Brewery as Hampshire Beers of the Year. See here for more details. Beer of the Festival is selected from the full range of beers on sale and voted for by the customers of Southampton Beer Festival. This year there were a number of tied results, including the overall winner. This year's Beers of the Festival were "Elderado" and "Swift One" both from Bowman Ales, near Droxford, Hampshire. Equal 1st: Bowman Ales - Elderado and Swift One.